If you love Afternoon Tea, as well as a G&T, you’ll love our G&Tea Parties. Starting at 12:00 we’ll take you on a guided tour of the distillery. You’ll learn about the history of gin, Silent Pool and the botanicals we use to create our unique flavours before rounding off the day with a tasting of our favourite Silent Pool seasonal spirits. Then, when you’re ready, you’ll enjoy everything you love about a classic English Afternoon Tea, from delicate finger sandwiches to delicious cakes, biscuits and traditional Breakfast Tea. 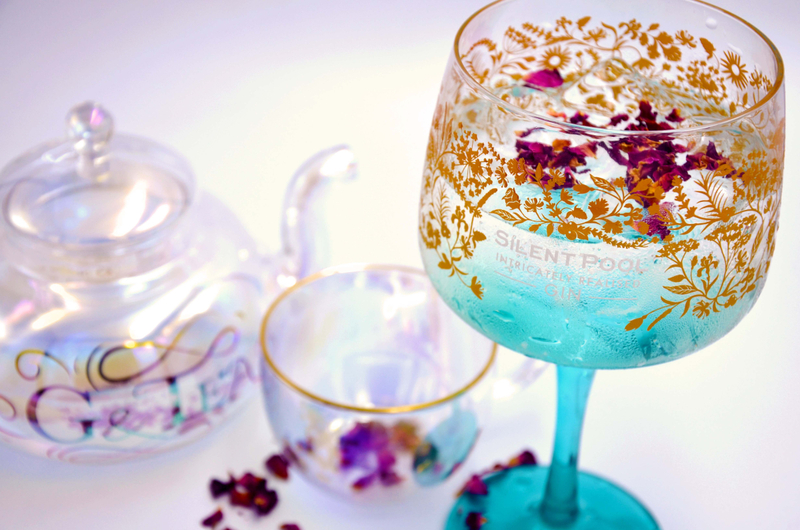 However, no party would be complete without a G&T, which is why you’ll also receive our award-winning Silent Pool G&T in a complimentary Copa glass. No problem, you’ll also receive a £5 off voucher to use in our on-site shop. If you love afternoon tea, as well as a G&T, why not celebrate with us? Contains gluten, dairy and may contain nuts. Unfortunatley, alternatives will not be available. On the stroll up from the Silent Pool Car Park, there are some uneven surfaces. We recommend comfortable footwear and clothing appropriate to the forecast weather.